On April 25th, 2015, a devastating earthquake measuring 8.1 on the Richter scale struck Nepal with the small town of Gorkha – roughly 140 kilometers from Kathmandu – being the epicenter. The aftermath of this natural disaster was a great loss of life, homes and livelihood. The devastation was widespread across Gorkha, Kathmandu and other neighboring districts. The approximate numbers were 8000 killed and over 20,000 injured. An International call for help was sent out from Nepal and Missionary Hospitals in Nepal and in Indian towns on the Nepalese border to help with relief process and to manage the scores of patients who had been affected directly and indirectly by this event. 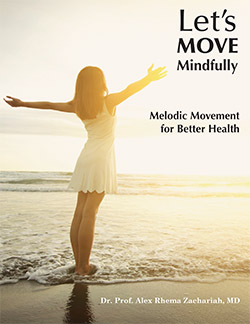 Click the picture below to read about the book and the author and to order Dr. Prof. Alex Rhema Zachariah’s book, “Let’s Move Mindfully”. Dr. Zachariah is a graduate of the Ludhiana Christian Medical College, batch 1957. The Ludhiana Christian Dental College has been sending some of their graduates to the Ganta Methodist Hospital in Liberia to treat patients and train dental health care workers. There is an acute shortage of dentists in Liberia. Recently Dr. Sundeep Franklin was called back to Ludhiana because of the Ebola crisis. Now fullly understanding the risks, he has chosen to return as an ambassador for Christ and the Ludhiana Christian Dental College to continue serving the people of Liberia at though Ganta Methodist Hospital. We visited in the pediatric ward with an 18 year old whose feet were deformed from birth. (See girl in black pants) She had been walking on tip toes since it was impossible for her to walk flat on her feet. We also visited with a nine year old girl (see girl in pink pants) with one of her feet deformed in the same manner. Both were from very poor families who never dreamed of their children walking normally. Both children had to be carried often. With joy we visited both of them after surgery with big smiles on their faces as they showed us how they could now walk with the flat of their feet touching the ground. Such miracles occur on a regular basis through the ministry in Ludhiana that you and I are a part of. I had the joy of visiting with Dr. Kenneth Scott in March 2012. Dr. Scott served as the Director of the Ludhiana Christian Medical College in India from 1963 to 1974. In this portion of our visit he tells about the transition from western missionary leadership to Indian leadership. Click picture to listen to the interview. Dr. Scott left for his heavenly abode at 4.00 p.m. on September 15, 2014. He was surrounded by his three children, Ken, Charles and Betsy. Grand children had been coming to see him. Pushpa and I were very fortunate to reach there about 2.00 P.M. Dr. Molly Joshi (Retired Dietitian) and Dr. Joy Joshi (retired founder principal of the dental college: a South- North Indian couple of CMC, Ludhiana) were with us. They were in the USA visiting their friends and students. I had the privilege to pray for and thank God for Dr. Scott’s life, for giving him to his family, and to us, his extended family. I asked for God’s peace in this time of our sorrow. He was in a coma when Joy and I bade farewell to him. However, when Pushpa and Molly said “goodbye” he opened his eyes a little, looked at Molly and murmured a feeble goodbye response! We left him breathing his last in the company of his loving children. We went to spend some time with Dr. Andrew Forbat (formerly anesthesiologist in Vellore and Ludhiana) who is 89 years old and lives in the same assisted living place where Dr. and Mrs. Scott had moved. Dr. Scott came from a family with a long tradition of missionary work and witness abroad. He wrote in his memoirs (AROUND THE WORLD IN EIGHTY YEARS, 1998), “Ann Bicksler: the nurse I fell in love with and married, 1942.” Ann stood by him throughout their long years of living and working together and facing many uncertainties of life. Once she told some of us, who were gathered in their home in Swannanoa, North Carolina, “In all these years of our being together, he has never once raised his voice at me.” After her death he looked rather lonely, but was always cheerful and had the same old (or rather that of the younger days…) welcoming smile on his face. Pushpa and I had visited him about a month ago. He had become very weak after a fall, but his mind was clear till a few weeks before his death. Before becoming a Christian missionary himself, he had served in the US army as a medical officer in the China-Burma-India Theater during World War II. After the army service, he entered surgical residency and served the US Veterans. Before going to Ludhiana, India, he served as a medical missionary in Korea. Though his sister and brother-in law were beheaded in communist China (December 8, 1934) , some Chinese Christians were able to hide their infant daughter and later smuggled her back to the USA. Dr. Scott himself was born in China to American Missionary parents. Dr. Scott writes in his book, “….More and more Christian Koreans with professional and administrative expertise and growing responsibility were arriving on the scene. 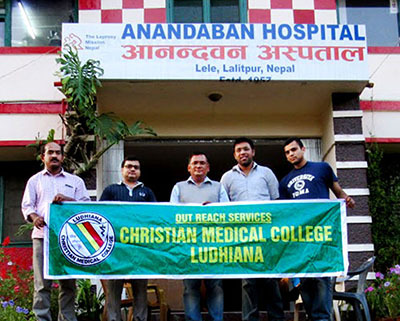 After all, our missionary goals were to do ourselves out of our jobs by raising the nationals to replace us….” The Christian Medical College, Ludhiana, India needed a committed missionary doctor to be the new director of the Institution. “The answer came like a thunderbolt out of the blue sky, totally unexpected (both for him and the people in Ludhiana)…First came a cable from London, followed within a day from New York—inviting me to come to India to be the director of the Christian Medical College and Hospital, Ludhiana….my initial reaction was ‘why me Lord’….Just then I was reading about Moses at the burning bush… ‘Then the Lord’s anger burned against Moses’, and I didn’t want that to happen to me. I knew I was not Moses, but the story squarely hit its target as far as what my response to Ludhiana’s invitation should be.” Dr. Scott’s memoirs narrate his own good and bad times there. Different people will have different memories of the Scotts. Some used to be annoyed saying that he used his partial loss of hearing to his advantage: agreed with what he liked and turned a deaf ear to what he did not! But I never heard anyone say that he was malicious, arrogant and unfair. Here, I am summarizing my own memories and transections with him. 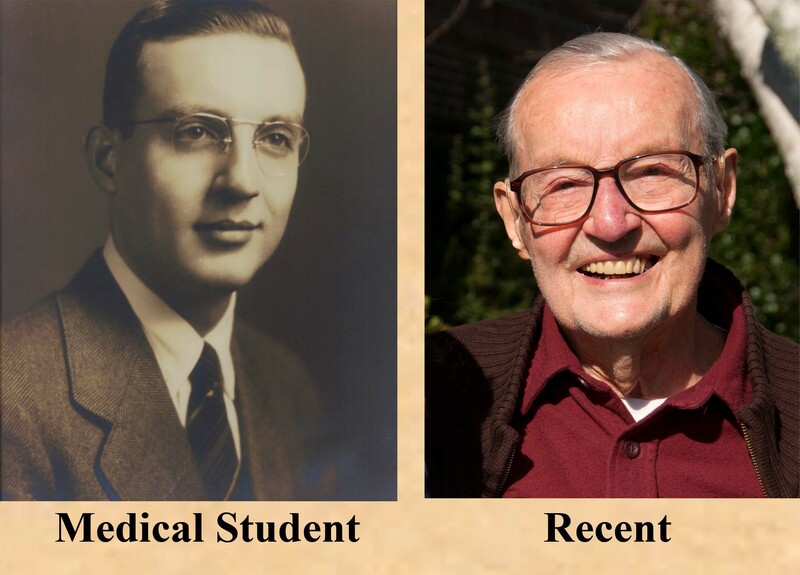 Recent generations of CMC staff, students and alumni may not know much about him. During his time there the Ross hostel for men medical students, Mitchel hostel for technicians, hostels for nurses, the large hospital chapel and the private patients block were built. Nursing college was started and many departments were upgraded to the post-graduation level. He was well known and appreciated for playing the piano during the Sunday services in the nearby Calvary Church of Ludhiana. After his retirement in the USA, his alma mater the famous Davidson College of North Carolina, recognized him with an honorary Doctorate in Music. Just as in Seoul Korea, He encouraged students to go for higher education and experience and return to be on the faculty and staff of CMC. He also looked for deserving Christians to join and stay in CMC. Drs. Joy and Molly Joshi are a great example of such people who have spent their lives at Ludhiana. He had postponed starting a department of psychiatry till a local/regional Christian psychiatrist was available. As the Lord would have it, I wanted to be a psychiatrist and, after completing MD (Post graduation) from the A.I.I.M.S. , New Delhi, I had the privilege to be the founder of the department. He granted me three years’ study leave to gain experience about the US mental health and administrative systems (Johns Hopkins). On my return to Ludhiana I was given the opportunity to be the first alumnus medical superintendent of the institution. By the time Pushpa and I returned to Ludhiana in September 1976, the Scotts had retired and were settled in Swannanoa, North Carolina, a beautiful part of the Smokey Mountains of the East Coast. We visited them there before our return to India. Our small daughter, Renuka, and son were with us. Neeraj was playing with his little toy car on Dr. Scott’s piano. The car fell down into a crevice! Ken got up and brought a screw driver and opened the back of the piano. He reached in to get the car and gave it back to Neeraj. Both had broad smiles on their faces. In early 1983 we moved to settle in Connecticut. Pushpa had been an anesthesiologist in Ludhiana. In the USA she entered internal medicine residency (at the University of Connecticut), while I completed my Post-Doctoral Fellowship at Yale. In 1995 we moved to practice in North Carolina, little realizing that we will be just two hours’ drive away from the Scotts. Sometimes Pushpa cooked a nice Indian meal and we took it to the Scott house, where many other former missionaries would also be gathered to refresh their taste for such delicacies. Pushpa worked for the Gaston County Health department before staring her own practice. She came across a familiar handwriting in some of the patients’ notes. She was pleasantly surprised to see Dr. Scott’s signatures at the end of the notes. Both Ken and Ann had served the people of this region before going on full time retirement. After he finished writing and publishing his own memoirs, he helped to edit my book (Trishul to Trinity: an Indo-American Christian psychiatrist’s account of Heritage, History, Healing, Faith and Dharma: 1999). He gladly accepted to write the foreword also saying, “As a North Indian Christian, you are amply suited to write such a book.” Dr. Silas Charles (Ludhiana’s first alumnus Indo-American physician to hold such a position) carried its copies to CMC. I have some more copies left over. I am interested in putting these in the hands of the outgoing CMC students so that they get a perspective of India from an Indian Christian alumnus author’s point of view. I am waiting to get an acceptance reply from the present director Dr. Abraham Thomas. Dr. Scott’s children will be happy to include copies of his book also for free distribution to such mature students so that they may understand how West and East met in Ludhiana to proclaim to proclaim the News of the Gospel. When Dr. Scott was at Ludhiana, after some functions and plays in the college assembly hall, he witnessed to staff and students by giving them copies of the book which detailed his sister Elizabeth Alden Scott Stam and her husband John Cornelius Stam’s work, life and tragic death in China. He has written in his book, “God has used Betty and John’s story to Sharpen and strengthen Christian commitment around the world to such a degree that its blessing has far exceeded its tragedy”. Besides its excellent medical work, Ludhiana, also needs to uphold the Christian witness to keeps its previous generations’ memory and efforts alive. Ken is now a pillar in the eternal Kingdom of GOD. We just received this information from Alumni President Arun Adlakha: The 2015 CMC Alumni Reunion, will be held from Thursday, August 13 to Saturday, August 15, 2015. It will be held at the Downtown Westin Hotel, in Cleveland, Ohio. Please block off these dates and plan on attending. Local hosts are Dr. Krishan Chandar and Drs. Tejbir & Rani Sidhu. Registration information and more details will be forthcoming. To view the 2014 alumni reunion video click above. When the video starts click in the lower right hand corner of the video to make the video open as a full screen view. If you want to download the video and watch it later click the link below and tell your computer where you want the video file to be saved. Click here to download the video to view later. The file is large (382MB) so allow plenty of time for the download. CHRISMED Journal of Health and Research, a publication of Christian Medical College; Ludhiana Society, is a peer-reviewed online journal with Semiannual print on demand compilation of issues published. The journal’s full text is available online at http://www.cjhr.org. The journal allows free access (Open Access) to its contents and permits authors to self-archive final accepted version of the articles on any OAI-compliant institutional / subject-based repository. The journal does not charge for submission, processing or publication of manuscripts and even for color reproduction of photographs.